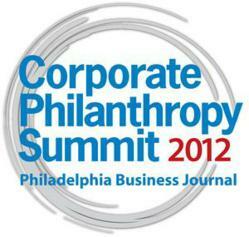 Michael Araten, President and CEO of The Rodon Group and K’NEX Brands will join the Philadelphia Business Journal’s Philanthropy Summit: Meet the Champions of Charity held on April 26, 2012 in Philadelphia, PA.
Michael Araten, President and CEO of The Rodon Group and K’NEX Brands will join the Philadelphia Business Journal’s Philanthropy Summit: Meet the Champions of Charity held on April 26, 2012 in Philadelphia, PA. Philadelphia Business Journal and presenting sponsor Wells Fargo convene with the region's leading business and civic leaders to share best practices about philanthropy and community engagement. The summit’s keynote message will be by Shane Victorino, MLB Player, Philadelphia Phillies and Founder of The Shane Victorino Foundation. The Shane Victorino Foundation is dedicated to promoting opportunities for under-served youth by engaging in projects which provide children with educational, recreational and wellness programs. Mr. Araten also serves on corporate and non-profit boards, including ALMO Corporation, 911Safety, LLC, American Made Matters and the Delaware Valley Chapter of Crohn's and Colitis Foundation of America and is active with the North Penn United Way. The Rodon Group is an ISO 9001:2008 certified landfill-free, plastic injection molder. In business since 1956, The Rodon Group makes billions of parts each year in its 125,000 square foot facility. With over 105 injection molding presses, Rodon is one of the largest family-owned and operated plastic injection molders in the United States and serves a diverse group of industries including consumer products, medical, construction, pharmaceutical and toys. Since 1992, Rodon has manufactured over 30 billion parts for the K'NEX building toy system, and is a subsidiary of K'NEX Brands, L.P. Founded in 1992, K’NEX Brands, the world’s most innovative construction toy company, was established to make and sell what has become one of the world’s leading integrated construction systems for children. Winner of over 200 international awards and recognitions, K’NEX is America’s building toy company focused on Building Worlds Kids Love and encourages youngsters to “imagine, build and play.” For more information, please visit http://www.knex.com.